WEST LAFAYETTE, Ind. — Jessica Jackley, co-founder of the world's first peer-to-peer microlending website, will kick off the 2010-11 Purdue Series on Corporate Citizenship and Ethics. Jackley will speak at 7 p.m. Sept. 14 in Stewart Center's Fowler Hall. The talk, which is free and open to the public, is presented by the Krannert School of Management and the College of Education's James F. Ackerman Center for Democratic Citizenship. Jackley, who will speak on "Harnessing the Power of Perspective, " is a co-founder of Kiva.org, which lets Internet users lend as little as $25 to specific developing-world entrepreneurs, providing affordable capital to help them start or expand a small business. Since 2005, Kiva has loaned more than $100 million from lenders to entrepreneurs in 182 countries. Kiva's mission of connecting people through lending to alleviate poverty and the idea that relationships are a powerful force for positive change remain foundations for the organization's strategy. Last year, Jackley began work on ProFounder to provide ways for small U.S. businesses to access start-up funding through community involvement. She also teaches global entrepreneurship at the University of Southern California Marshall School of Business. She has an MBA from Stanford University Graduate School of Business and a bachelor's degree in philosophy and political science from Bucknell University. Jackley's talk is sponsored by Purdue Employees Federal Credit Union and Karl and Kathy Krapek. Also speaking this academic year will be Randy Cohen, New York Times ethics columnist, on Nov. 18, and Mitch Jackson, FedEx vice president of environmental affairs and sustainability, on April 7. Jessica Jackley is an American businesswoman and entrepreneur. Jackley was the co-founder and CEO of ProFounder, a platform that provided tools for small business entrepreneurs in the United States to access start-up capital through crowdfunding and community involvement. 11. 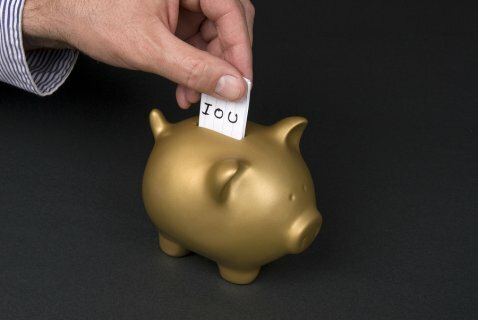 Borrowing Money - What Is Interest? @AndyBounds @thomasforth Who are they borrowing the money from and what happens if revenue dissapoints? They must run a balanced budget.